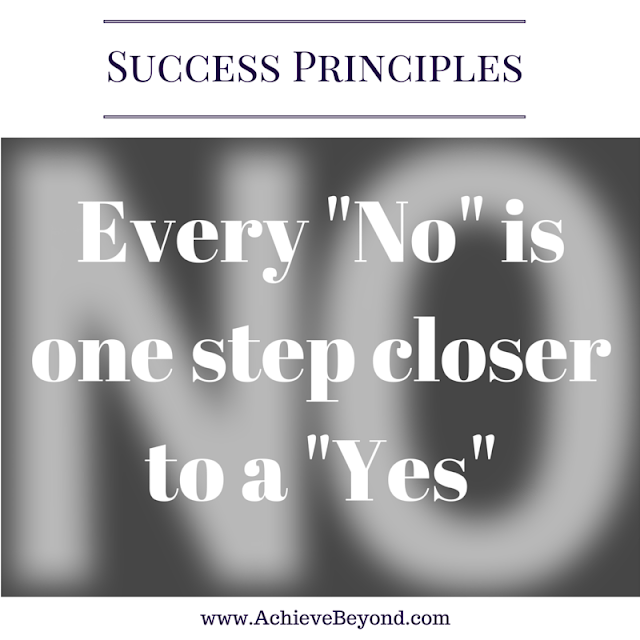 When it comes to business, "no" doesn't have to be final. Something I've learned on this entrepreneurial journey I'm undertaking is that not everyone understands my vision. I get a lot of "nos". Some of them are actually "no", but others end up being "I didn't fully understand your brand but now that I've talked to you some more I understand the potential". I've managed to slip my way into a lot of doors. Big doors. Big doors full of potential and opportunity. The kind of doors I only ever dreamed of entering. This week I knocked on another big door. But I got another "no". It was a "no" from a big wig. A very big wig. I was sad of course, but then I thought about it and said to myself "they just don't understand this well enough". I KNOW we'd make a great partnership. I KNOW it will be successful. So we need to prove it to them. A "proof of concept" deal perhaps. Yes. That's it. Who knows ... it could be a big ol' waste of time ... but it's worth a shot isn't it? I'm not taking their "no" as a "no". I'm taking it as a "I didn't fully understand the potential of your brand ..."
Because one thing I know for sure, every no is one step closer to a yes. There are "yes's" everywhere ... you've just got to find them.